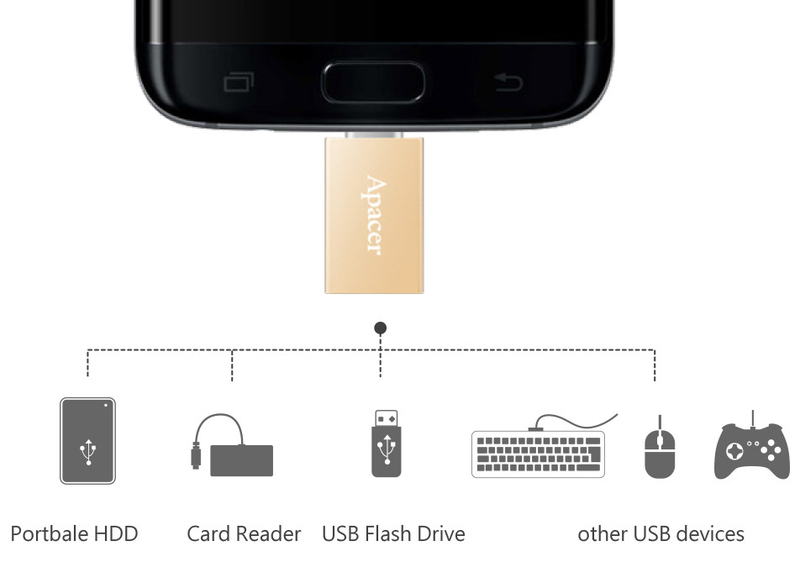 Apacer DA110 Type-C to USB 3.1 Type-A Adapter, Retail Box, No Warranty. Without having to be plugged into to a computer, the Type-A female port can be directly connected to other USB devices with excellent compatibility for a more efficient use. With our strict standards, our product life span is above the industry average. The aluminum alloy is a durable material that can resist scratches and abrasion, always maintaining its neatness next to your mobile device. The compact size makes it easy to carry everywhere you go.